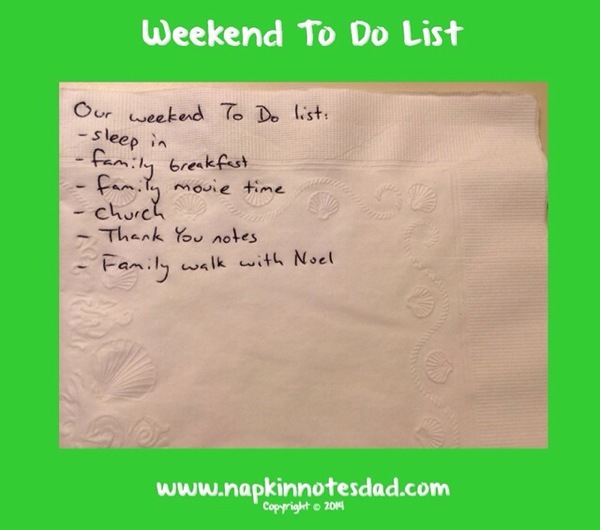 Napkin Note: Giving Emma an idea of the things we have to do this weekend! We need this time together as a family. What are you doing this weekend with your family?